Serving areas: Hartford, CT, Springfield, MA and surrounding towns. With Gogh Art its about creating smiles and happy memories. 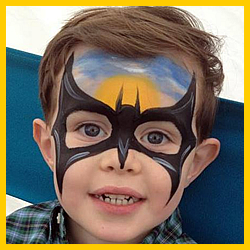 Gogh Art brings the exceptional professional face painting of talented and inspiring artists and hostesses who “create some fun” at any celebration. 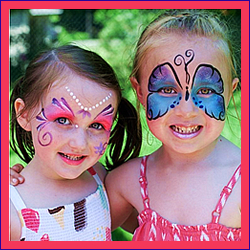 These professional face painters, glitter tattoo artists and art party hostesses travel all over Western MA and CT adding whimsy and sparkle to each birthday party, large group event, festival, fundraiser, company party, corporate event or any celebration. 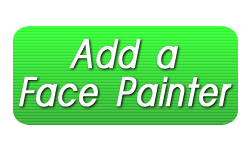 Trading Faces is a NH Face Painter & Body Art Artist Fully Insured Business. Owner, Artist Monica Leo – Offering Face Painting, Body Art, Body Painting, Temporary Glitter Tattoos, Airbrush Tattoos, HENNA, & Tinsel Hair Extensions. Hope to add a splash of color to your event! Serving: Natick – MA – Massachusetts and the surrounding areas. Colores Kids is a children’s them party business bringing you services like face-painting, party decor and decoration, customized invitation and thank you’s, music games and entertainment with crafts – and more! Gift certificates are available and we work hard to make sure your birthday kid’s dream party comes true!